swimming | Keep It Up, David! I had a good, sweaty time taking my friend Geoff’s High Octane class last week, so when he invited me to another workout, I jumped at the chance. 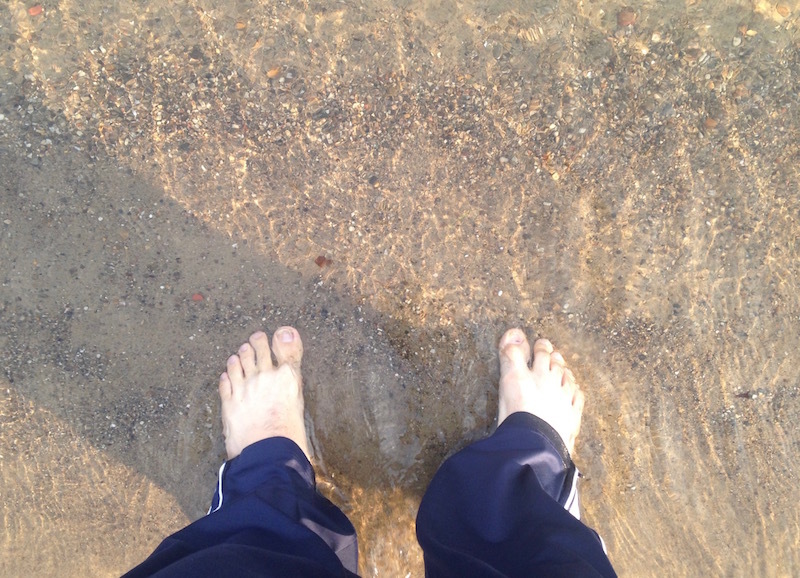 All I had to do was show up at Belle Isle Beach on Saturday morning at 8am. Wait, what? I’ve been blue the past week and a half. I often get this way after big races, and the One World Trade Center event in Manhattan certainly qualifies as a big race. I’ve been good about exercising since I’ve been back from New York, but other things have suffered. My eating, for one, hasn’t been great, and I haven’t been productive with other things I have going on. This post isn’t about depression, though. It’s about getting over a depression. I was tired of feeling unmotivated and lethargic. I was tired of being the guest of honor at my own pity party. So I thought about what I could do that would make me feel better. And I came with two activities, neither of which I had done in a long time, that might just goose me out of this funk. Then I decided to do both in one day. Guess where I’m writing this post! No, really. Guess! If you guessed the juror assembly room at the Los Angeles County Superior Courthouse, you win! Three cheers for jury duty. I’m waiting to see if I’ll get assigned to a trial. Meanwhile, I got nothing but time to put together a blog post, so here goes! Yesterday I returned, after a 37-day hiatus, to the pool. 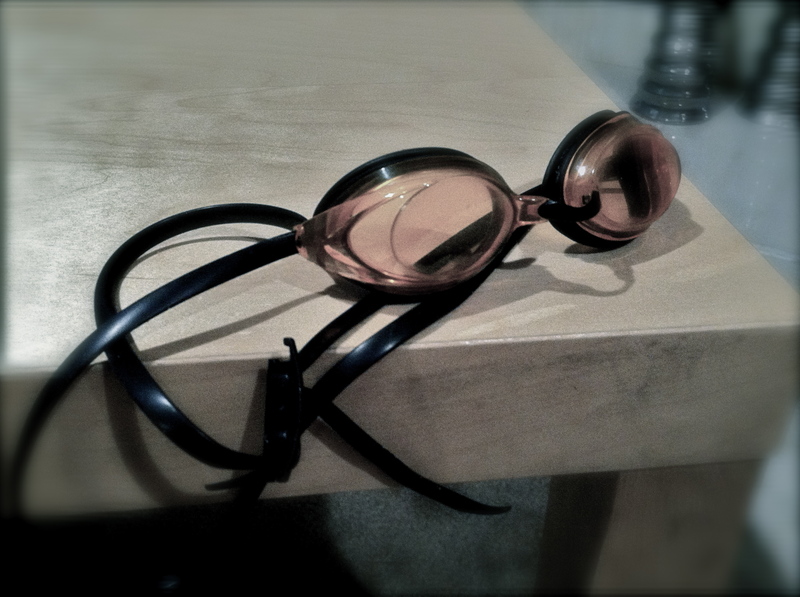 I felt pretty good in the water, and swam 3,200 yards in 70 minutes. 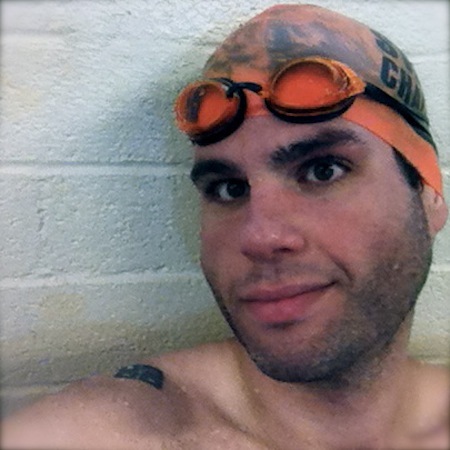 How do I look with a swim cap and goggles? I got a guest pass at a new (to me) gym a few weeks ago. I’m not really in the market to switch gyms, but it’s fun to try new facilities and switch things up a bit. The first time I went to the gym, I had a good, if not standard, workout. But I noticed the gym had a pool, which was very exciting news. I like swimming, but I’ve never had a gym with a pool, so I swim in public pools in various parks. I like the outdoor public pools I’ve discovered around town (including my favorite pool EVER), but the hours are crappy (they’re only open 3 hours each day on the weekend), so having an indoor pool available on an expanded schedule was very enticing. I made plans to bring my swimsuit next time I visited that gym, three days later. Last night I was all prepared to write another post where I was hard on myself. I overate on Saturday night and felt crappy the next morning. It was my cousin’s birthday, and we had a family party at my aunt and uncle’s house, and while there, I ate a giant piece of lasagna (it was probably 2 or 3 servings), plus 4 pieces of garlic bread plus cake and ice cream plus a ton of candy corn, because, you know, tis the season for candy corn. I ate some salad, too. It is way too easy for me to be hard on myself. Maybe you’ve noticed that. It doesn’t take much for me to beat myself up, but I’m working on that. And so, to that end, I decided not to write the blog post that initially came to mind. I’m not going to dwell on some choices that I made during one evening that, for the record, was really fun. Instead, I’m going to count my successes for the week, because the rest of the week went really well.